Explore the Gyeongju of the past: visit a 1,000 year old Buddha at Seokguram Grotto, marvel at the view at Mount Namsan and relax at a hot springs theme park! Often called the ‘museum without walls’, there is no argument that Gyeongju deserves the title as the ancient capital city of the 1,000 year long Silla Dynasty. At its peak, the Silla Dynasty controlled two-thirds of the Korean Peninsula between the 7th and 9th centuries. Till this day, several artifacts and cultural treasures remain in Gyeongju soil. 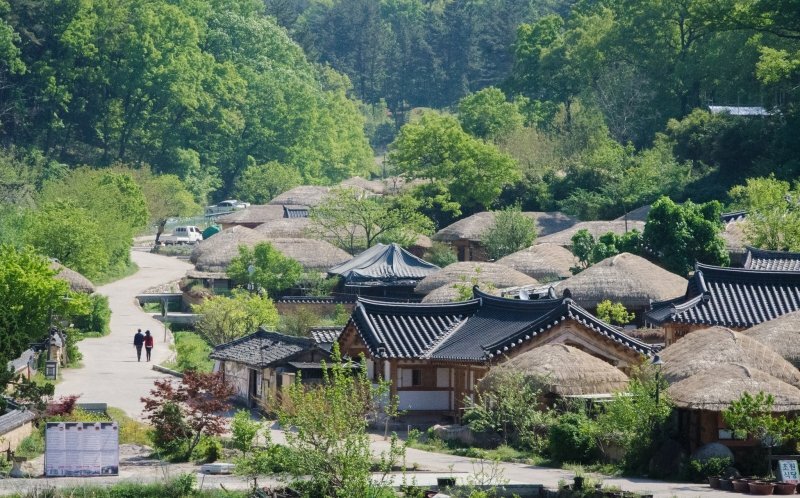 In fact, Gyeongju is home to not just one, but several UNESCO World Heritage Sites and 31 National Treasures! An absolute heaven for any history buff, there is bound to be something waiting to be discovered at every corner in Gyeongju. Whether it be royal tombs that look like gentle hills or the ruins of what used to be Korea’s largest temple, the ancient capital is overflowing with culture. That being said, there is something for everyone.